She travels….extensively. At times by wheels, sometimes by wing, other times by wave. She travels while she sits and knits, creativity driving. Creativity inspired by mountain travel, memories, textures and color, small towns, 5th Avenues and spring flowers. She travels…..light. Light as the wind. With her backpack she is prepared to hike mountain passes, climb the north face, and forge those rivers. Next week, she will grab her Zucca on wheels and brave airport security flying to the next big city. One thing remains constant. 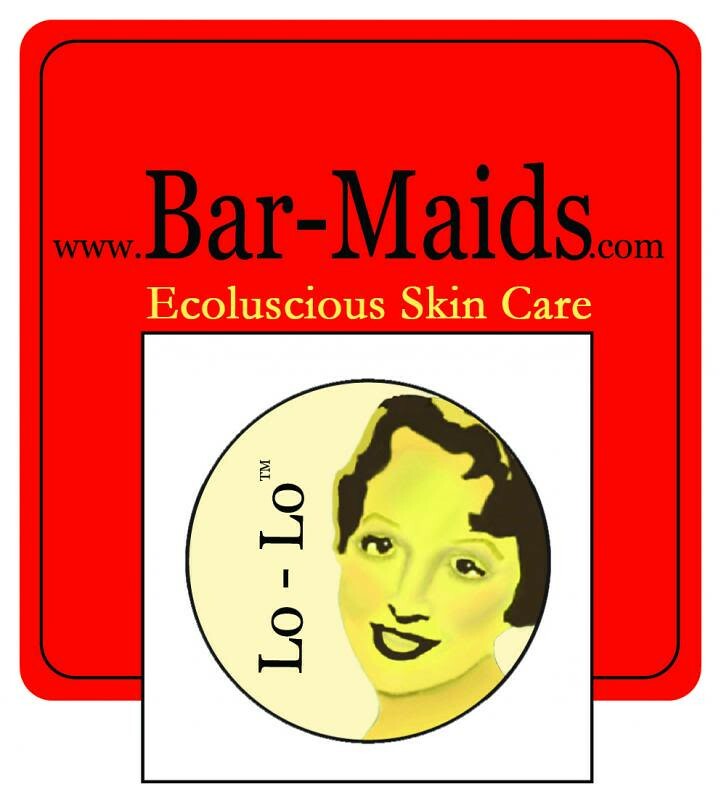 She always travels with a Lo-Lo Body Bar. She knows while hiking, she won’t be bugged, and while in the city, dry skin doesn’t have a chance. Introducing Nimblestix! We have something for all lovers of fiber, whether you knit, crochet, spin, or just love to pet pretty yarn. Spinners get special pampering with features that no other online community has. Stash your fiber, even that raw fleece! Create a spinning project and add the finished yarn to your yarn stash. Then search for the perfect pattern to showcase your work. Watch what your friends are stashing, queueing and creating in your real-time stream. In fact, you can even cross post to Facebook. Come join our virtual fiber festival at www.nimblestix.com. Use the invitation code "Knitmore" and have at it! Purlescence Yarns is the Bay Area's destination yarn shop. From the best in spinning and weaving equipment to luxurious yarns and fibers, we have what you need to make your fibery dreams a reality. We're always happy to provide mail order service for Knitmore Girls listeners. Call us today, it'll be on its way! Gigi is has finished a pair of socks out of Red Heart, Heart and Sole with Aloe. Jasmin is knitting the Antler cardigan out of Cascade Greenland for Genevieve. She likes using a new cable needle ring from Leslie Wind. Gigi has started the lace border of the Celeano out of Lisa Sousa's Squash Blossom. Jasmin cast on her SPAKAL sweater! Gigi cast on her second Chrysanthemum sock. She is thinking of using green yarn to reknit her Pinus Silvestry socks from The Knitters Curiosity Cabinet. Jasmin has been working on the Breezy Cardigan by Hannah Fettig. She mentions her Calligraphy cardigan, and the ribbon she got for it from TheRibbonSupply. This week we answer a question from the "What do you want to hear about thread?" about how to find the grain line on fabric. You can find the recipe for her Browned butter chocolate chip Nutella swirl cookies with Sea Salt. Gigi wound the yarn she spun and Jasmin plied onto the skein winder. And we used Tyvek wristbands to label the skeins. Jasmin has been trying to spin on her Schacht wheel, with Genevieve on her lap. She thinks spinning unassisted on the mini spinner might be more productive. I used to use the tyvek wrist bands to put on my kids ankles when we went out in a crowd. I put my phone. U ver on it so I could always be reached. I'm sure there are more elegant things out there to use as well. I know that a very large baking contest uses the criteria that there need to be three significant differences in a recipe, compared to other existing recipes, for it to be called an original recipe. Sounds like your recipe has that. I grew up in MA and as a child ate at the Toll House in nearby Whitman where the cookie was born. I remember the large dining hall built around a tree whose trunk stayed long after disease took the tree.